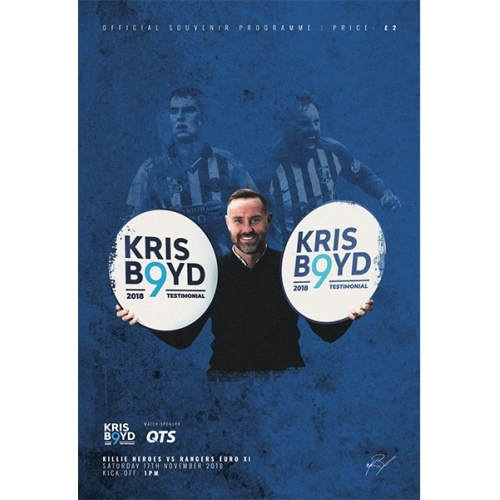 Kris Boyd's Testimonial Match: Nov 17th 2018. It was an enjoyable day for all involved at Rugby Park with nine goals shared between the two sides. 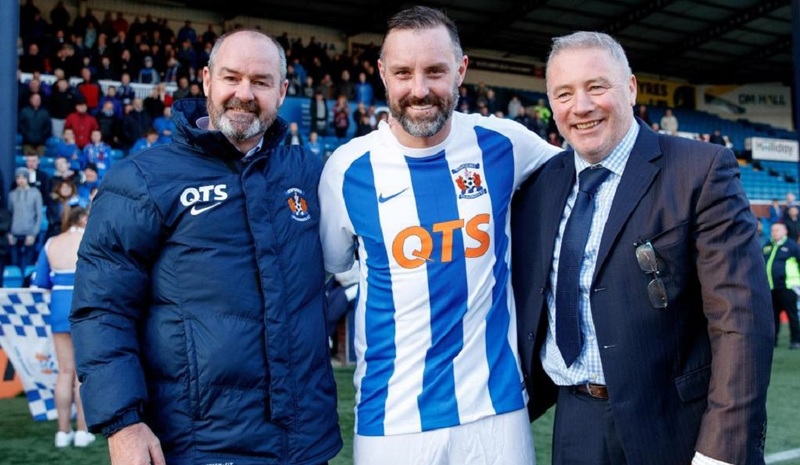 Kris Boyd had a testimonial to remember as he scored a hat-trick against a host of former Rangers team-mates. 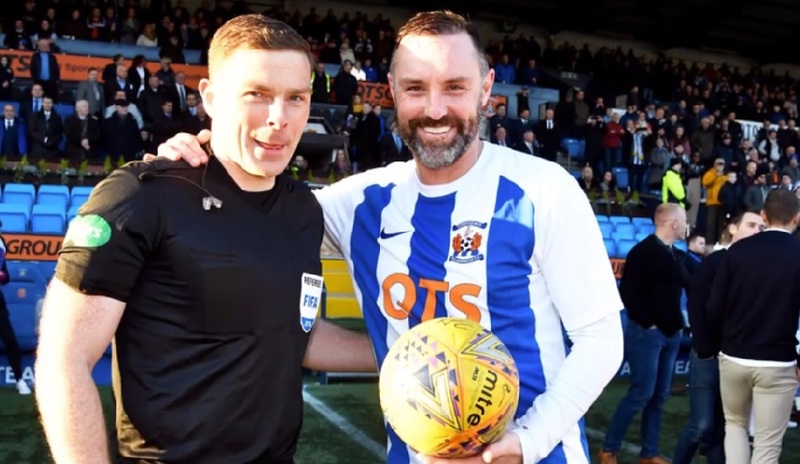 A crowd of over 4,300 fans turned out at Rugby Park to salute the Scottish Premiership's all-time leading scorer Kris Boyd. 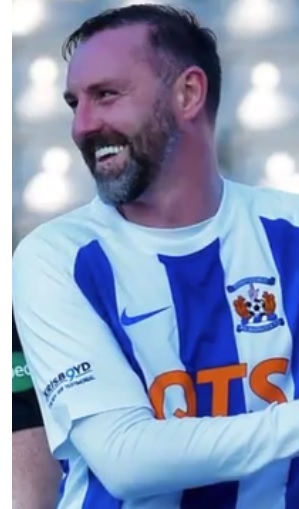 Kilmarnock legends such as Gary Holt, Alexei Eremenko and Manuel Pascali were joined by first team players Greg Stewart and Rory McKenzie in the starting lineup. 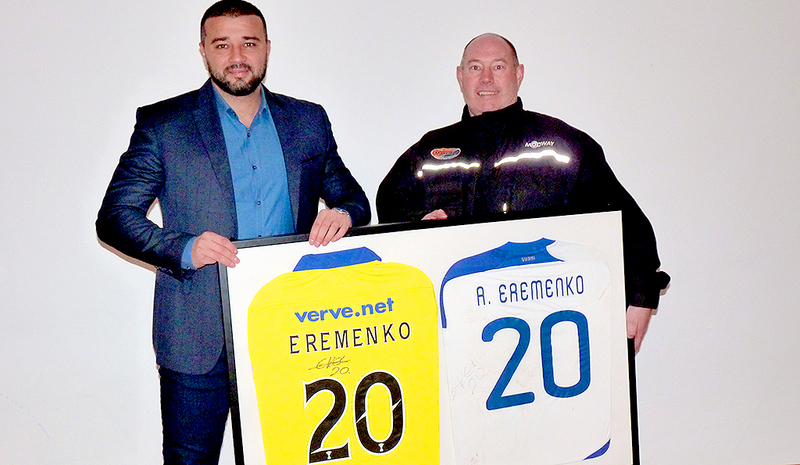 And the return of Alexei Eremenko to Ayrshire was one that got plenty of the Killie fans excited. 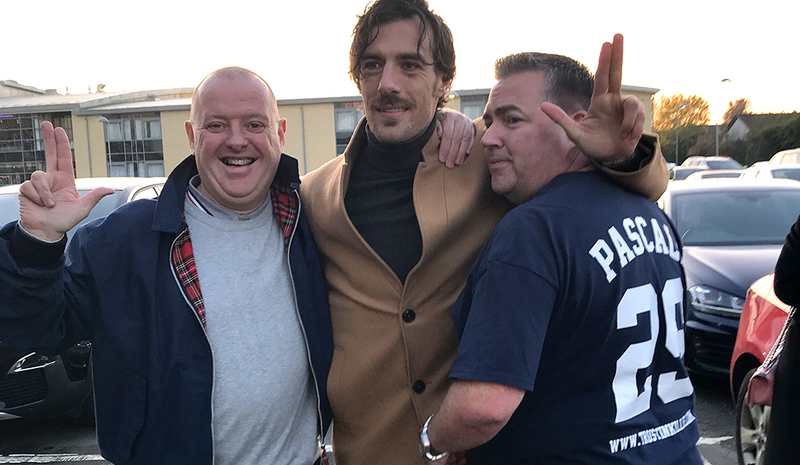 The Light Blues team also featured the likes of Pedro Mendes, Sasa Papac, Charlie Adam, Alex Rae, Kenny Miller, Michael Mols and Peter Lovenkrands. Lovenkrands gave the visitors the lead before the man of the hour Boyd equalised. The Sky Sports pundit grabbed another goal on the half-hour mark and he completed his hat-trick just after half-time. 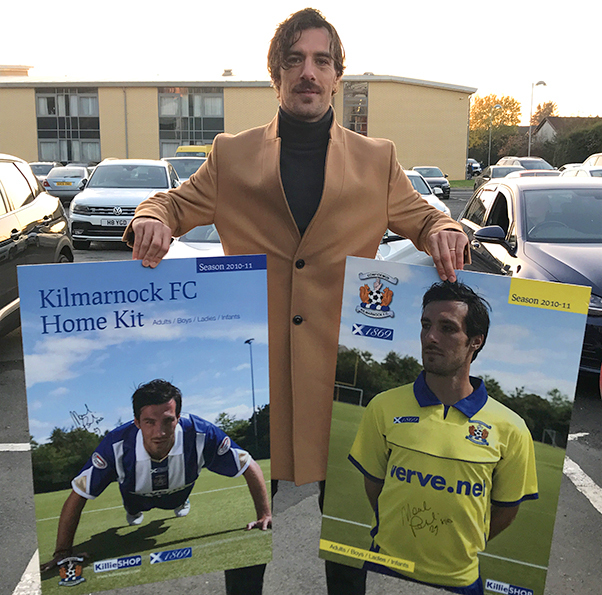 Greg Stewart, Paul di Giacamo and Jack Byrne were also on the scoresheet for the home side while Andy Dallas netted for Gers before a late Novo penalty. After the match, Rangers legend Ally McCoist hailed Boyd’s contribution to both clubs over the years.“Kris, in my opinion, is definitely the best finisher of his generation. He’s a great goalscorer, and it is magic for us to have the opportunity to come down here and pay tribute to him, support him and thank him, though I still think he has a few goals left in him!